WHY IT RATES: It just got easier for travel agents to book flights for clients between the United States and England.—Donald Wood, Breaking News Senior Writer. When the British settled along the Ashley River, passengers aboard sailing vessels anticipated months-long journeys across the Atlantic. Fast forward almost 350 years, and a new direct route between the United Kingdom and Charleston will cut that time to nine hours or less. On Thursday, British Airways announced plans for new, nonstop air service between Charleston and London’s Heathrow Airport. The twice-weekly flight, slated to start in April 2019, marks the first transatlantic passenger flight from both the Lowcountry and the State of South Carolina. “We are ushering in a new day for this region and our State as we launch this flight to a premier European destination,” said Paul Campbell, CEO of the Charleston County Aviation Authority. British Airways will operate the new service on Thursdays and Sundays. Flights will leave from Charleston at 10:50 P.M. and arrive in London the next morning at 11:50 A.M. Returning flights will depart London at 5:20 P.M. and arrive in Charleston at 9:20 P.M.
“We have an extensive global network, from UK cities, to Europe to Africa and Asia, so I’m pleased that British Airways can open this service up to the Charleston community,” said Simon Brooks, British Airways’ Senior Vice President for North America. Wednesday’s announcement is the result of years of intentional planning, relationship development and negotiation for local and State leaders. “We know how selective British Airways is when choosing where to invest resources and launch new service. Charleston being named the newest destination is further testament to our region’s popularity, influence and relevance across multiple industries,” said Vic Rawl, Chairman of Charleston County Council. The state’s largest airport is on a record-setting pace to exceed the four million passenger mark by year’s end. Through September, over 3.3 million travelers have passed through the airport’s gates, up 12% from the same period in 2017. The new flight is projected to generate an estimated economic impact of $20.2 million annually through new spending, job creation and other associated activity. Linn Lesesne, Chairman of Explore Charleston’s Board of Governors, called the announcement a “momentous occasion” for the region. Tourism officials understand the impact extends well beyond opening the door to new international leisure travelers. “We know from experience that more flights to more destinations enhances the quality of life for citizens across the region. These flights also play a critical role in business recruitment and retention,” said Lesesne. From an industry recruitment perspective, the new service is expected to enhance the marketability of South Carolina as a top destination for international business. “This is ultimately a game-changer in that the connectivity our very first international passenger flight will offer the Lowcountry region and South Carolina to western Europe makes the state a more attractive destination to companies that are looking to locate headquarters facilities or other office operations. 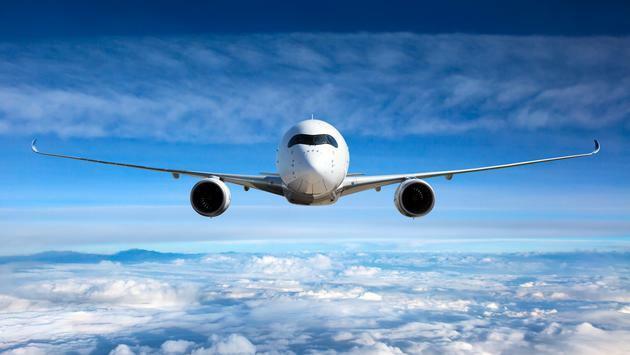 These flights will make South Carolina an even more viable candidate for economic development, giving us additional tools to compete in the global economy,” said Bobby Hitt, South Carolina Secretary of Commerce. In a unique nod to the Charleston area’s recent economic development, British Airways announced it will operate the Boeing Dreamliner 787-800 for South Carolina’s new service. North Charleston is now home to the second largest Boeing manufacturing facility and one of two final assembly lines for the Dreamliner program. Since expanding its operations in 2016, Boeing South Carolina aircraft can now be fully assembled, flight tested, and delivered at North Charleston. The Boeing 787-800 accommodates 214 passengers in three cabins, including 154 in World Traveler (economy), 25 in World Traveler Plus (premium) and 35 in Club World (business class). “It’s a privilege to celebrate this endorsement of the greater Charleston area and our amazing people. We look forward to showcasing our region and State and are committed to ensuring this new partnership is an unrivaled success,” said Walter Hundley, Chairman of the Charleston County Aviation Authority. SOURCE: British Airways press release.